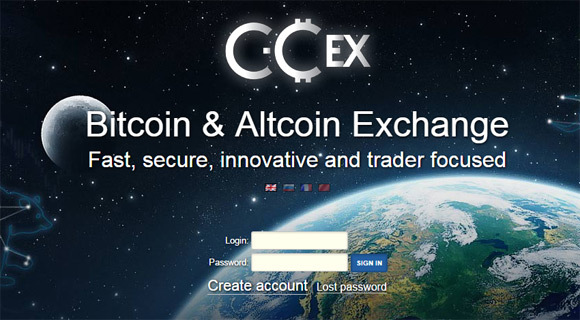 The crypto currency exchange C-Cex has introduced Ethereum (ETH) trading markets that include over 100 crypto currencies. Prior to launching the ETH markets there were BTC, USD, LTC and DOGE markets available and now you can trade many coins directly for Ether coins. The ETH markets are new, so there is not much trading activity yet or big volumes, but it is nice to see that Ethereum is getting more attention and we are starting to see it becoming available for direct trade against many other coins. It may not be long before we start seeing ore exchanges adding ETH markets along LTC or DOGE markets following in the footsteps of this exchange. We’ll have to see, but if Ethereum keeps its high exchange rate and the interest from users continues to grow it will continue to replace LTC as the most popular altcoin market trading pair.